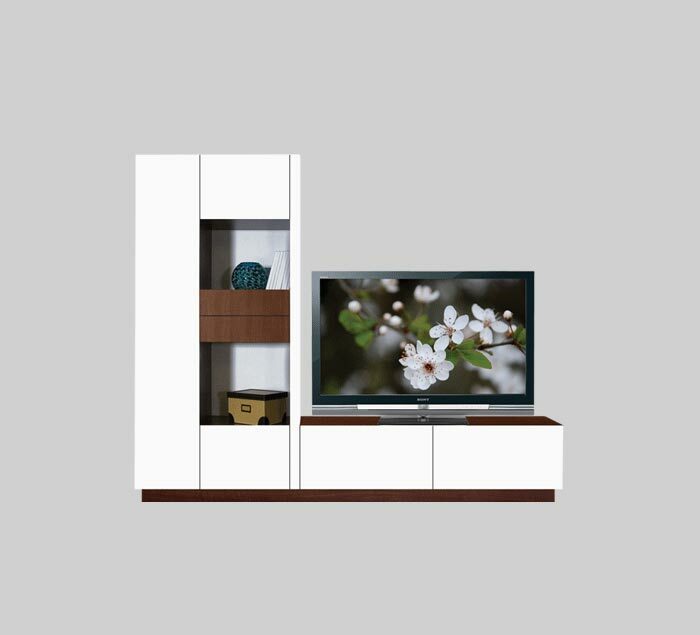 Featuring an asymmetrical, multi-function design, this piece incorporates drawers, cabinets and shelves to fashion a flat-screen TV stand with storage and display power. Decorate the shelves with photos, vases or plants, while keeping the drawers and cabinet free for media storage and organization. The open back provides easy cable management. No hassle, no stress and no ventilation worries - just pure entertainment with an easy-to-use home theater storage and display unit. Home delivery is available upon request. Our trained experts will place your furniture as desired and return the packaging materials to our factory for recycling. You just need to figure out how to fill the Scarlett�s abundance of storage space.